Join acclaimed storyteller, Vincent Murphy, in his historical performance as Government House groundskeeper, George Watt. Accompany George as he leads you through the lavish Edwardian Gardens which surround Government House. Should weather prevent the tour of the grounds, accommodations will be made for the program to be held indoors. 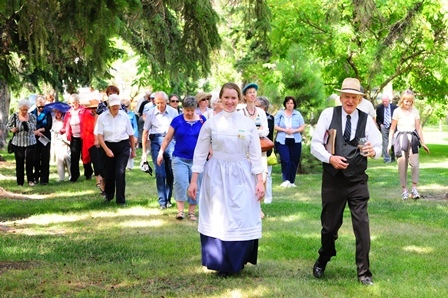 Based on Watt’s personal journals, Murphy will transport the audience back to the spring planting season of 1910 and will provide a unique insight of what life was like at the turn of the century. 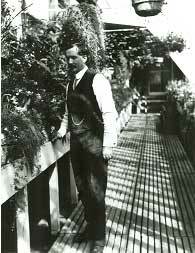 In the early 1900s, the Edwardian Gardens stood out as an oasis against Regina’s treeless landscape. Producing a British-style garden in Saskatchewan’s harsh climate was no small feat and would not have been achieved without the vision and painstaking care of a Scottish-born landscape gardener by the name of George Watt.